This sentence is “typically Viennese” and means that somebody has died and their final resting place is the Vienna Central Cemetery. The cemetery is a natural gem, and if you’re not all too spooked by death, there is a wonderful park that invites you to go for a walk. When I was six years old, my grandfather took me by the hand. We took the 71 tram to Central Cemetery and visited the grave of our deceased relatives. As a child, discovering nature there was very interesting to me. I remember the many squirrels that were happy to take the nuts we had taken along. I even saw a badger and a fox scurrying by, as well as – believe it or not – deer! I caught sight of them on the premises of the Central Cemetery with the help of my grandfather. You do need plenty of time and patience and should start your excursion very early in the morning. 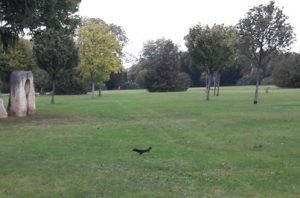 The animal residents of the Central Cemetery include deer, badgers, kestrels, martens, frogs, field hamsters, lots of squirrels, mice, and many types of birds. At over two square kilometers, the Vienna Central Cemetery is one of Europe’s largest cemeteries. It comprises 330,000 graves and around 3 million deceased persons. In addition to the Catholic section, there are also Israelite, Protestant and Russian Orthodox sections, as well as a Buddhist and Islamic and Egyptian section. 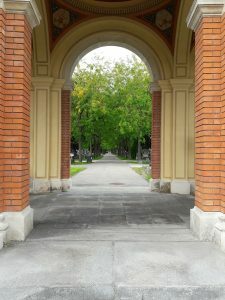 Due to many honorary graves and many Jugendstil constructions, the cemetery is among Vienna’s landmarks. 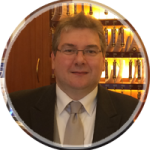 To get to the cemetery, start at the Vienna State Opera, which is easily reachable from all Schick Hotels. Opposite the front of the opera (on the Ringstrasse) there is a tram stop. From the tram stop, take line 71 towards “Zentralfriedhof 3. Tor” (Central Cemetery, 3rd Gate). Exit the tram at the stop named “Zentralfriedhof 2. Tor” (Central Cemetery, 2nd Gate), the main gate. By the way, due to its size, driving into the cemetery with a private vehicle is permitted for a fee (except on All Saints’ Day). There is also a separate bus line that drives around the premises. Once Vienna’s communal cemeteries became too small, in the year 1866 it was decided that a large cemetery should be created. In the beginning, many Viennese did not consider this such a good idea, since the cemetery was quite far outside the city center and the trip there was cumbersome. 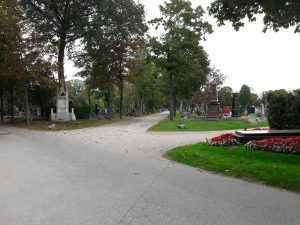 The site selected for the cemetery was also contested in the city council; however, the mayor at the time, Cajetan Felder, prevailed and, following a call for bids, Bluntschli and Jonas from Frankfurt were awarded the contract to design the cemetery. After three years of construction (1871–1874), Vienna’s new necropolis was erected, although a small part had already been in use prior to 1874 since the other cemeteries had become too small. It was soon to be opened despite strong protests from Catholic circles, since upon request the cemetery was also open to other denominations, which could apply for their own sections. 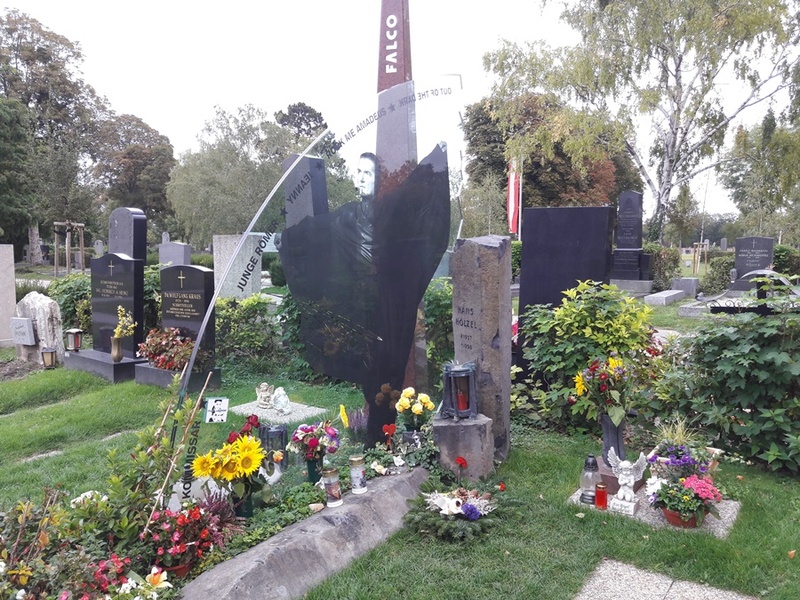 Due to the protests, Vienna’s then-Cardinal Rauscher consecrated the cemetery very early in the morning of 10/30/1874 so that there would not be much commotion. The Viennese were not all that thrilled by the large new cemetery. In the beginning, it was not very popular and was covered with meager vegetation (hardly imaginable today). It required a long trip – at the time, it took an hour to get from what is today’s 3rd District all the way to the cemetery. To make the cemetery more attractive, in 1881 Vienna’s City Council decided to erect an honorary grave site. 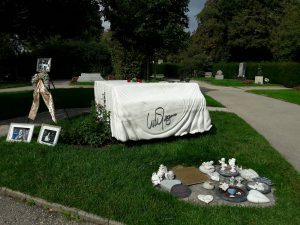 The remains of prominent persons (including Beethoven and Schubert) were moved from other cemeteries to Central Cemetery. Nowadays, the list of honorary graves extends to around 1000 people and reads like a Who’s Who of Austrian history. The deceased were brought through Simmeringer Hauptstrasse via horse-drawn carriage. This caused quite a stir among the local residents due to the many carriages riding past. During winter, the carriages sometimes got stuck in the snow. 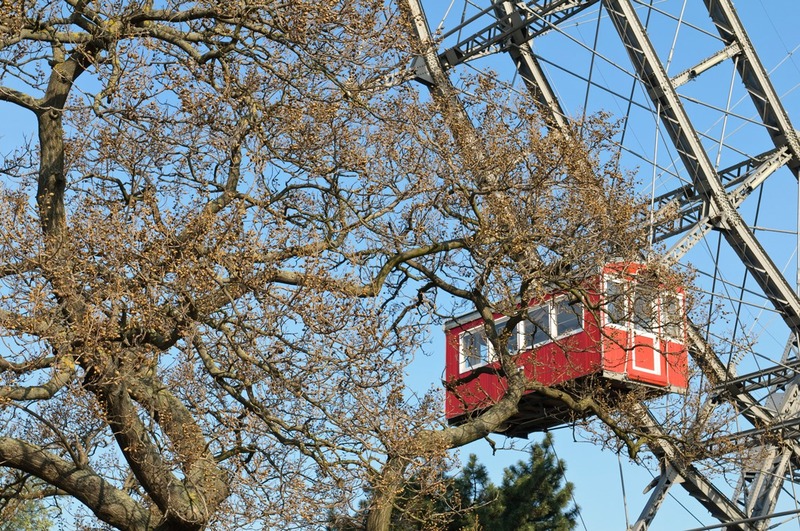 In later years, the corpses were transported via tram. In the second half of the 19th century, the bourgeoisie, modeled after the nobility, presented magnificent funeral services and interments. To this day, it is a Viennese tradition to join the funeral procession for deceased well-known politicians or prominent personalities, or to bid them farewell. Sometimes there are more than 1000 participants. The focal point of the compound is the Karl Borromeo Church – also known as the Lueger Church, since the sarcophagus of the mayor of Vienna, Dr. Karl Lueger (1844–1910), is located in the vault. I find the domed Karl Borromeo Church so impressive, above all in its details, that it has inspired me to write a blog article dedicated to this work of architecture. I should also mention the Presidents’ Vault in front of the St. Borromeo Church, where all the Austrian presidents have their final resting place.